Owner Briann, of Pico Food Truck, approached me to design her menu board, flyers, and business cards, etc.. Her style features bright colors and fun designs! Being a busy business owner running her food truck, Briann found it was hard to keep up with social media posts. I am able to help her with that. Her tacos are the freshest in town. Her tortillas are handmade as your order and pressed right on the truck. They are then topped with the finest of fresh ingredients. You can catch Pico locally at Junkyard Brewing Company in the summer Tuesday, Wednesday, and Thursday starting at 4pm! 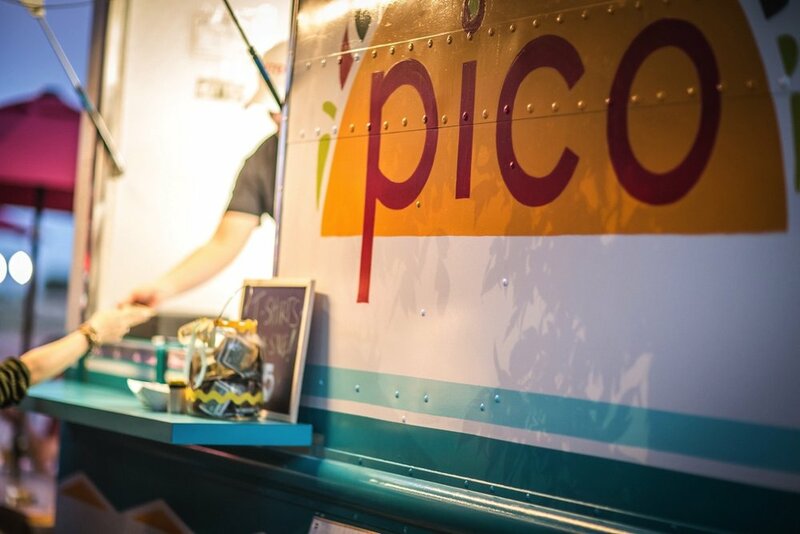 You can book Pico for your special events all summer long! They are expanding! They have a second truck for the summer of 2018!